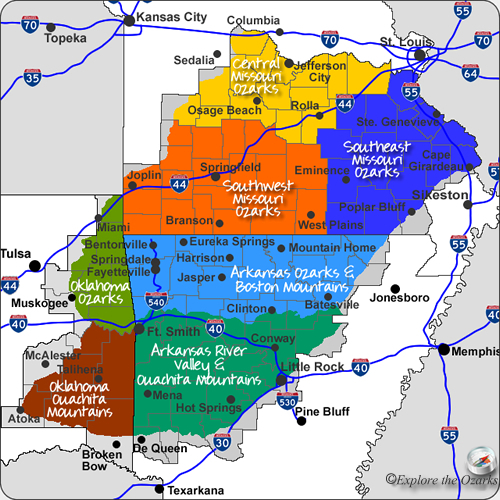 As you take in all the natural wonders the Ozarks and Ouachita Mountains has to offer, there is one feature you may have overlooked. Right beneath your feet, there very well could be a cave. The unique geology of the Ozarks has given this region thousands of caves; in fact, Missouri now has over 6,000 documented caves alone, second only to Tennessee. Many caves in the Ozarks are available to tour as show caves. From gigantic, 300 foot tall rooms, to a cave that offers ride-thru tours, an underground to be explored awaits. Currently, I have not been able to gather enough information yet on all of the many wild caves and show caves found in the Ozarks and Ouachitas. As more information on them becomes available, I will list them here.